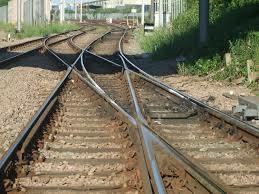 Signals are used for reception of trains in to a station and despatch of trains out of station. Signals used for movement of trains with in the station section at restricted speed and for special purpose are called Subsidiary signals. It is of position light type, The lights shall be white in colour. 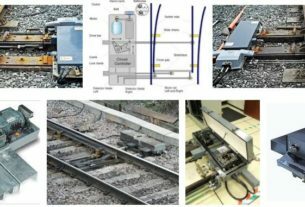 Shunt signals control shunting movements. 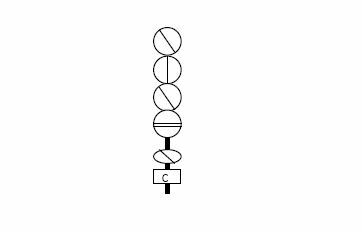 A shunt signal may be placed on a post by itself or below a stop signal other than the first stop signal of a station. When a shunt signal is taken „OFF‟, it authorizes the driver to draw ahead with caution for shunting purposes although stop signal, if any, above it is at „ON‟. When a shunt signal is placed below a stop signal, it shall show no light in the „ON‟ position. A Calling-on signal has no independent location and displays no aspect in „ON‟ position. 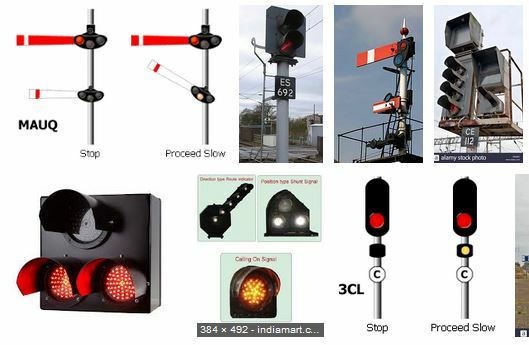 A calling-on signal where provided, shall be fixed below a stop signal governing the approach of a train with „C‟ marker board fixed to the signal post. A calling-on signal when taken „OFF‟ it displays a miniature yellow light.Under approved special instructions, a calling-on signal may be provided below any other stop signal except the last stop signal. When placed below a stop signal, it shall show no light in the „ON‟ position. A calling-on signal under main signal above it cannot display “OFF” aspect at same time.